With all of the changes that Facebook has been making this year (Graph Search, the redesigned Newsfeed, etc), the struggle for businesses and brands to stay ahead of the curve is more important than ever. The ROI of Facebook is engagement (Likes, Shares, Comments), which provides more exposure for businesses, but doesn’t necessarily promise conversions to sales. Whether Facebook is willing to admit it or not, most of its changes are designed to capture more user information that will improve the viability of its new Graph Search and, therefore, boost revenue in a seemingly non-invasive way, However, there are many challenges that have been presented. 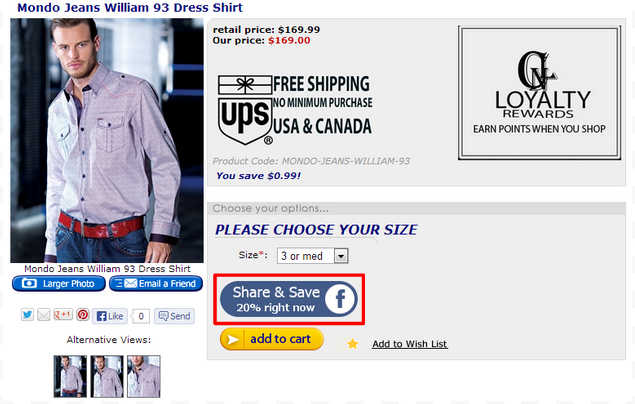 With a new product called Share & Save, there may be at least a solution for eCommerce businesses. Share & Save is a plugin that eCommerce businesses can add to their online stores to each product that offers a discount (set by each business) that is activated when the shopper shares the product through their Facebook account. Businesses have the option of installing either a pop-up window or a customizable button. Simple enough right? Let’s take a look at the major highlights of Share & Save and how they benefit any current Facebook strategy. Word-of-mouth has always been one of the most important yet unpredictable ways to grow a business and increase sales since potential customers put more trust into the opinions and thoughts of people they know vs. the actual business. Before social media, Word-of-Mouth reached only a handful of people through direct contact. With Facebook, the average user has around 200 friends. 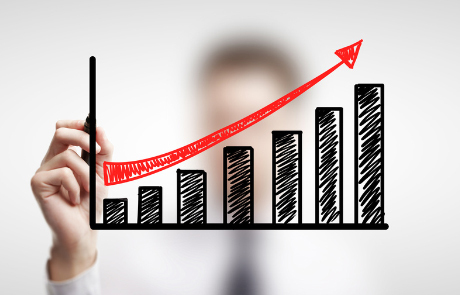 This means for each share, your product is being advertised to around 200 potential customers . Share & Save makes word-of-mouth more predictable and easier to achieve. The new search feature that is rolling out this year will eventually be available to all Facebook users and allow them to find businesses, products, and basically anything that is more relevant based on their friends. Facebook has made it evident that it is not attempting to compete with Google search — yet this seems to be a likely way to manage expectations initially while Facebook starts to find ways to capture more meaningful user information. Coupled with Share & Save incentivizing engagement, businesses will increase their visibility among their customer’s friends. For instance, if a customer purchased pet products from Pet Flow and used Share & Save, this would increase the search ranking for Pet Flow for any friend of the buyer. Because word-of-mouth is still one of the most important tactics that a business can have, Share & Save has the potential to boost Graph Search results for eCommerce businesses. The greatest challenge with the redesigned Newsfeed is that they fracture a users feed into several categories relegating businesses mainly to a “following” feed. This obviously will make their reach harder without paying for Facebook advertising (intentional, I’m sure) because chances are, the general user is not going to default to a feed showing off businesses, right? 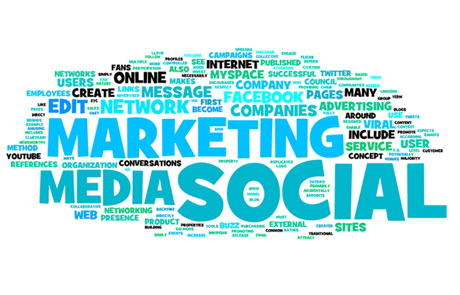 Therefore, one of the best ways to boost their visibility is through engagement of their fans. Every time a customer Likes, Shares, Comments, or Mentions a business, the story jumps out of just the following feed and into the main newsfeed, as well as the All Friends feed. Share & Save is a win-win for both customers who receive a discount and businesses that are getting increased visibility and Facebook engagement. Brand advocates are customers that are passionate about your business and willingly blast your product or services to anyone who will listen. For a business that doesn’t have millions to invest in marketing, it is daunting to figure out how to find them as well as organize and motivate them to push your brand. Share & Save does this for you by encouraging a customer who already likes your product or service to share it with their friends. What I personally think works best with Share & Save (with or without the impending Facebook changes), is that it plays to the potential word-of-mouth using social channels — which is rare to achieve, but extremely important for any business. Before, a business could theoretically buy likes. However, a common problem with purchased friends, was that they would never actually engage with the brand, hurting the business’s Edgerank. With Share & Save, you are already appealing to a hot lead, giving them an incentive to share the product (and by extension your business) with friends who probably have the same interest, and of course, you are closing a sale. Gaining likes and building an audience has always been key to a healthy Facebook presence for any business or brand. 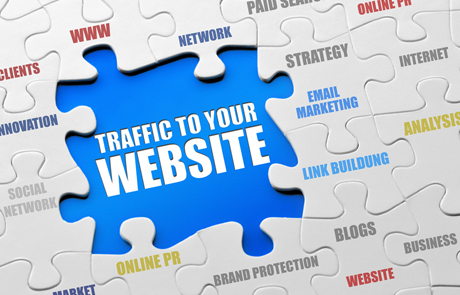 However, with the introduction of Graph Search and the redesigned newsfeed affecting the visibility of a business page, finding meaningful and effective ways to engage with your audience is even more important. Share & Save may be the cost-effective solution for businesses that leverages their brand’s reach with a Facebook that is becoming more dependent on brand engagement. So, what are your thoughts? Are you finally happy to see that with increased advertisements on Facebook there is finally an incentive to not turn off business activity from your feed? Sound off below!